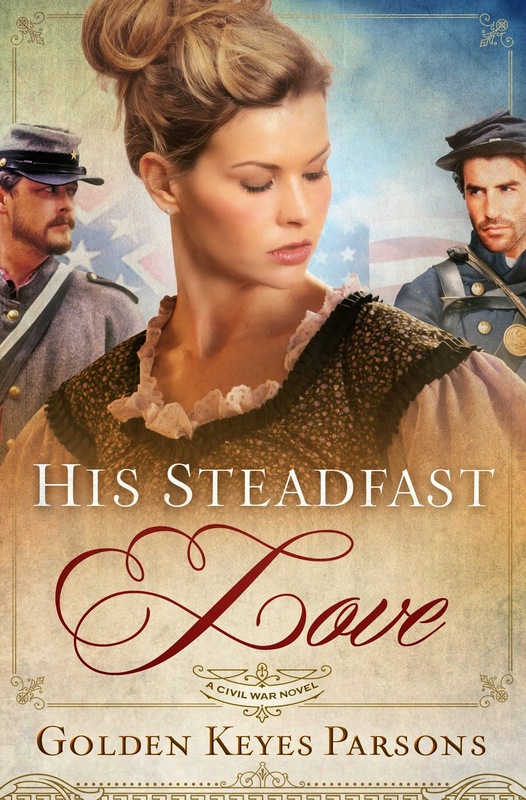 When I was writing a Christmas scene into my Civil War novel, His Steadfast Love, I began to wonder how many of the Christmas observances we celebrate today would have been celebrated by my characters. What I found was many of the Christmas traditions we practice today were in place by the time of the Civil War--Santa Claus, the Christmas tree, mistletoe, gift giving--but it was the Civil War that, strangely enough served as a catalyst to meld it into a national holiday. Just as the populace was varied in cultures in our nation, the various traditions came from differing cultures. Santa Claus was originally a Turkish bishop; the Dutch brought hanging of the green; the Christmas tree was originally a German custom brought to Virginia by a German immigrant. The Scandavians introduced the mistletoe "kissing ball" to us. time. The South was faring well in the conflict. Neighboring farmers took meals of turkey and minced pie to the men in the field. The soldiers held greased pig chases. The bands played, and the troops fired their guns into the air. Boxes from home arrived with woolen socks and mufflers. By 1862, the cost of food had skyrocketed, so the men in the field didn't get the generous portions of meals as they did the year before. Even the cost of coffee had risen to the point of being almost prohibitive. There was widespread drunkenness among the troops. The men were missing home. They'd watched many of their friends die. They were ready for the war to be over. Children were afraid that Santa Claus would not be able to get through the blockades. Most of the gifts were handmade and were for the children. When the Christmas of 1863 rolled around, the price of a turkey had risen to $100. Eggnog was $100 a gallon. The men were growing glum finding very little to celebrate. The visions of home with family around a Christmas tree, a cracking fire, stockings hung on the mantel, waiting for Santa Claus, tables laden with lavish feasts and drink served to seal the memories of Christmas into a vivid reality. 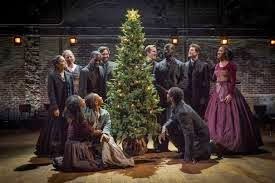 The last Christmas of the Civil War in 1864 dawned upon a weary nation. General Sherman had recently taken the city of Savannah, which he presented to President Lincoln as a Christmas present. In June of 1870, Christmas was officially made a national holiday largely due to the sentiment of the men returning to their homes after the Civil War with their longing for the warmth of family and home. Aren't we blessed that as we approach this Christmas season and celebrate the birth of our Savior, the Lord Jesus Christ, our nation is free. The War Between the States was a horrible conflict of brother against brother. May it never happen again. Visit my website at www.goldenkeyesparsons.com and Merry Christmas! Ginger has recently been reading about Victorian-era traditions and learned that the Victorian notion was that putting lots of decorations on the Christmas tree was considered gauche and "common" (what her mother used to call "vulgar"). Likewise, too many presents was a sign of greed. Each person got a very small table that was set up next to the tree and only as many presents as would set on the table. I am dismayed when I compare that with the piles and piles of bigger and costlier presents considered de rigueur today. Isn't it interesting how customs evolve? I heard someone say the other day that what one generation tolerates, the next generation embraces. And what that generation embraces, the next demands. That is so true about something as trivial as sparse Christmas decorations, to government programs which have fostered a philosophy of entitlement. Thanks for contributing to the discussion, Jeff! 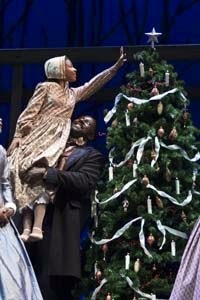 I enjoyed your post on Civil War Christmases. Oh, for the simple life! Thanks for your comment, Sharon. I think we all long for a simpler life from time to time. I know I do! Gosh, and I think grocery prices are too high today! Thanks for a great post Golden! Merry Christmas! Can you imagine? It was a terrible time for our country and the devastation, especially for the South, was unimaginable. Thanks for commenting! I enjoyed so much doing the research for this book. I hope you will put it on your TBR stack and then let me know your thoughts. Thank you for your input!